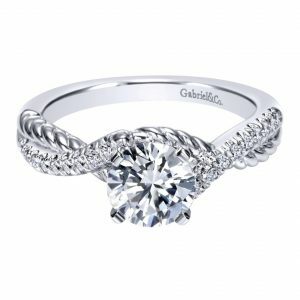 This glamorous Gabriel & Co. 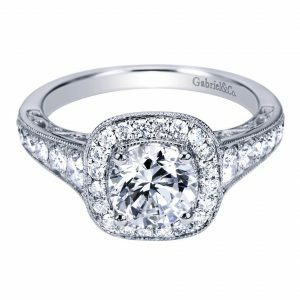 Cushion Halo Engagement Ring Setting is reminiscent of glam & glitz. 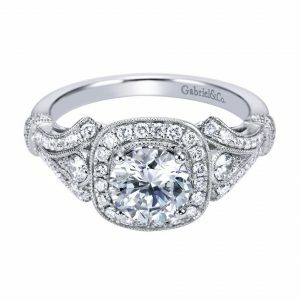 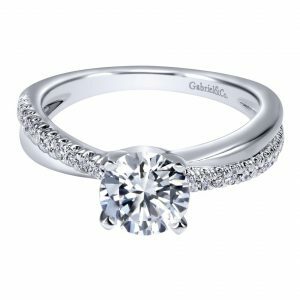 With a gorgeous diamond halo center stone this Gabriel & Co. White Gold Victorian Style Engagement Ring has also approximately 0.61ctw of Accent Diamonds. 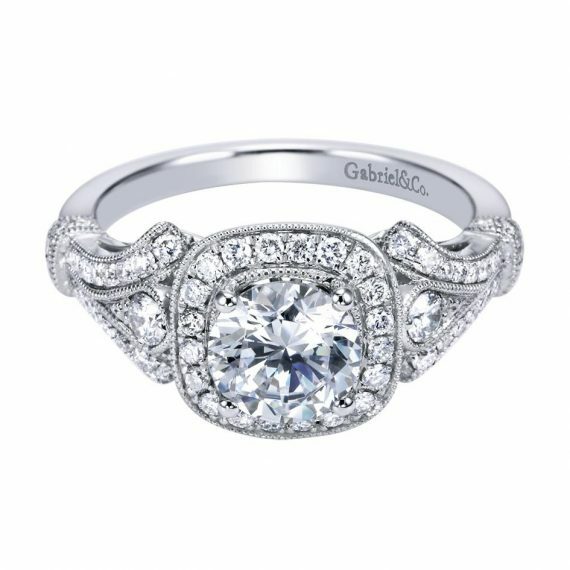 Very ornate and vintage detailing, this lovely Gabriel & Co. 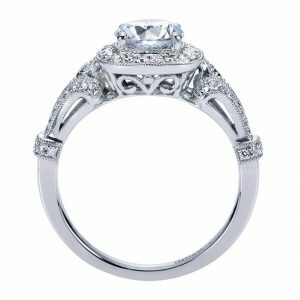 Engagement Ring can fit any round shape diamond of your choice. 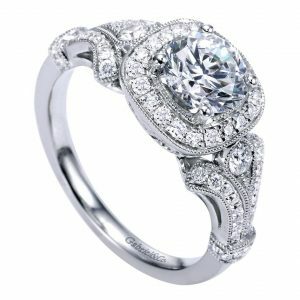 Policy Diamonds By Raymond Lee return policy; This Mounting does not come with a center stone. 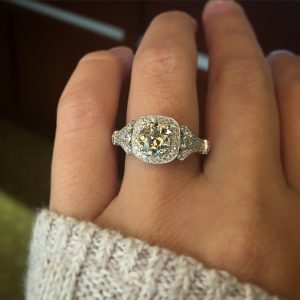 Center stone shown is CZ. 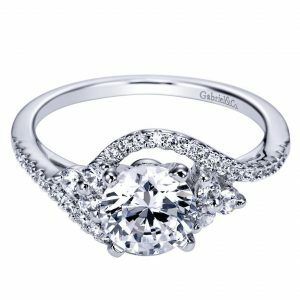 Additional Details This Item Comes with a Diamonds By Raymond Lee Presentation Box!